I’m a cotton girl. I’ve always used 100% cotton batting. But, this year this Batt Girl is breaking out of her Batt Cave! 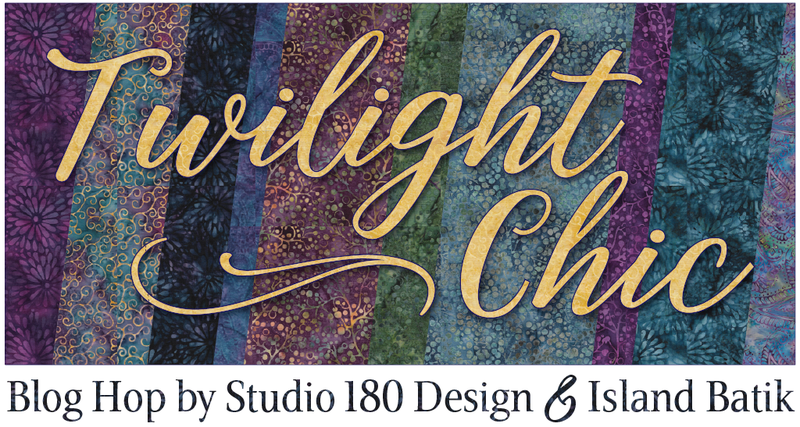 Today I quilted my Studio 180 Design quilt “Wish Upon”, but I used Dream Orient by Quilters Dream Batting. 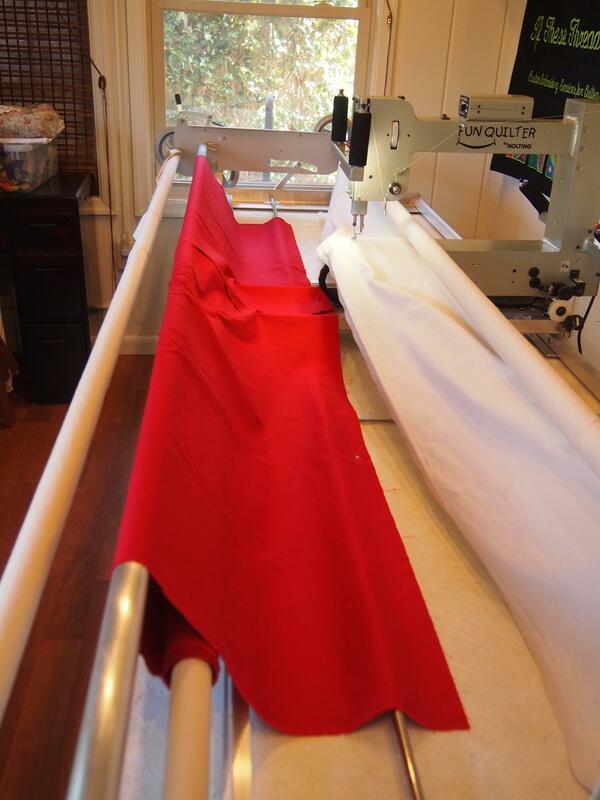 This batting is made of bamboo, silk, tencel and cotton. When I opened the package the first I noticed was how luxuriously soft it was. It seemed a little thicker than Dream Cotton Select. It was wonderful to touch. I have a small house. I was determined to find a way to get a long arm. 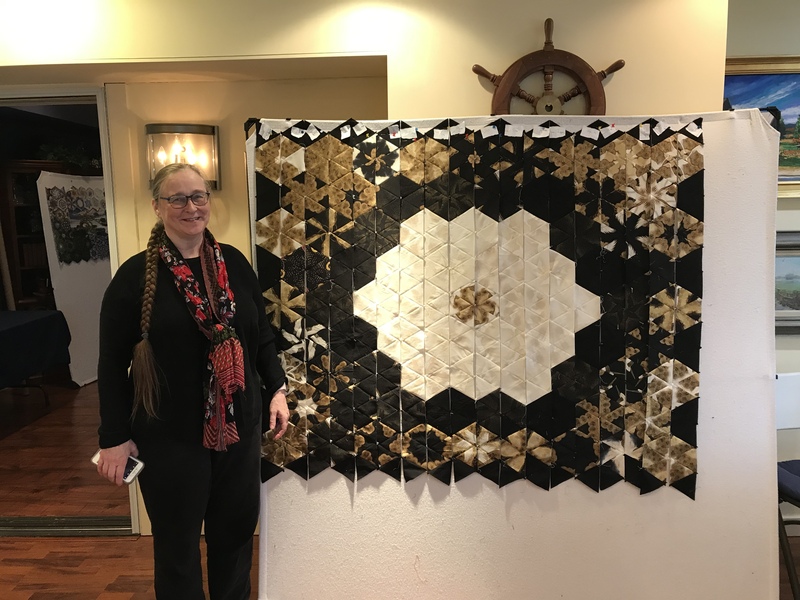 I bought a queen size “John Watts” quilt frame from Australia. It only weighs 50 pounds, so when I wasn’t using it, it hung on the wall of the garage. 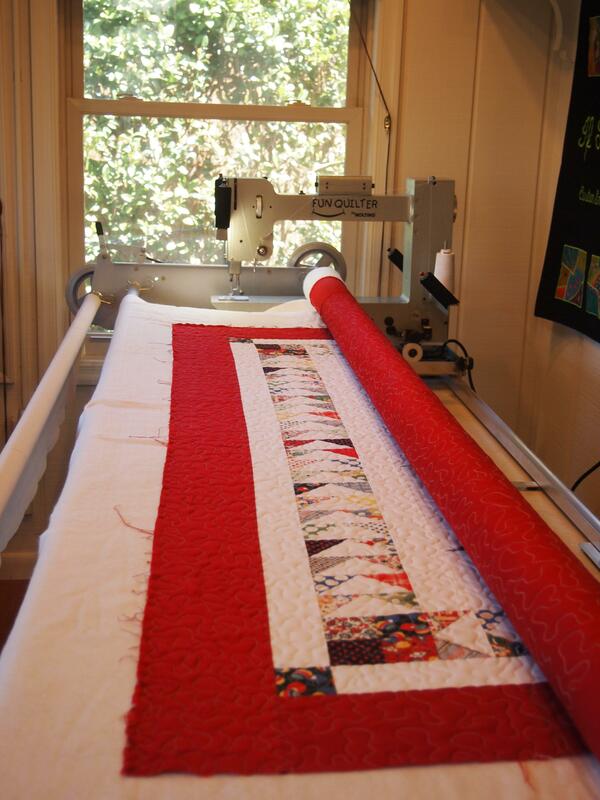 I bought a Nolting “Fun Quilter” It weighs 40 pounds. 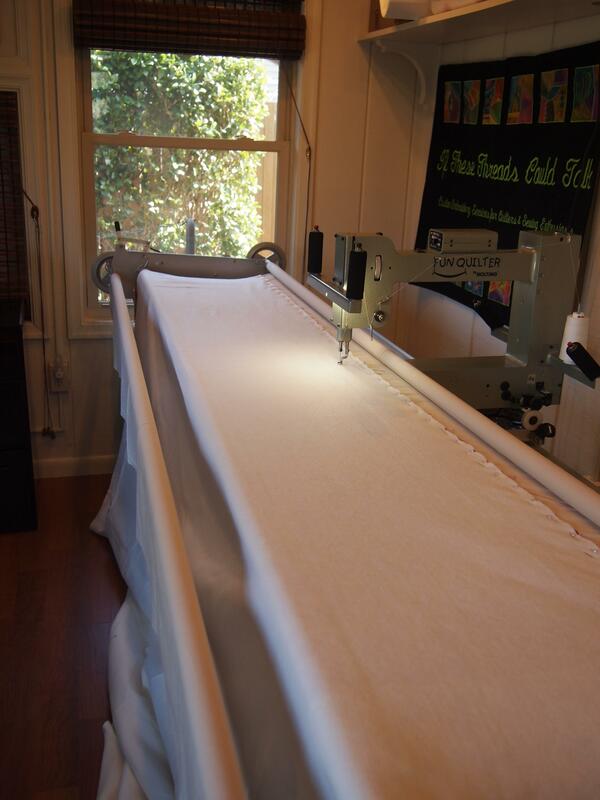 It has a 17″ throat and has a speed and stitch control. After 7 years of lugging the frame in and out of the house, my husband finished the back pork so I could leave it up full time. For today’s adventure, I have loaded the backing. I then loaded the Dream Orient. It handled really nicely, didn’t stretch out of shape at all. It feels great. I have the top loaded. See my tractor seat stool? 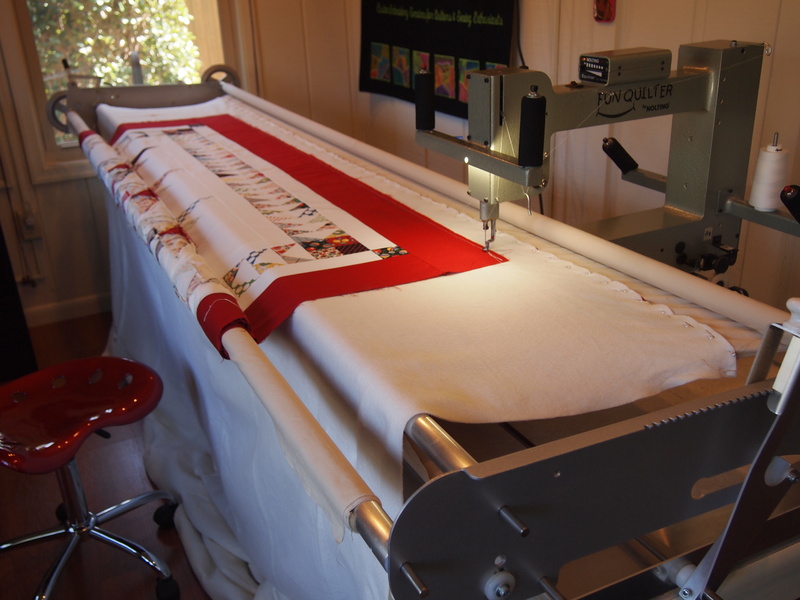 It is great for rolling back and forth while I pin the backing etc. to the leaders. I am now ready to quilt. Like butta, I tell ya, smooooth! Last row done. It looks wonderful. 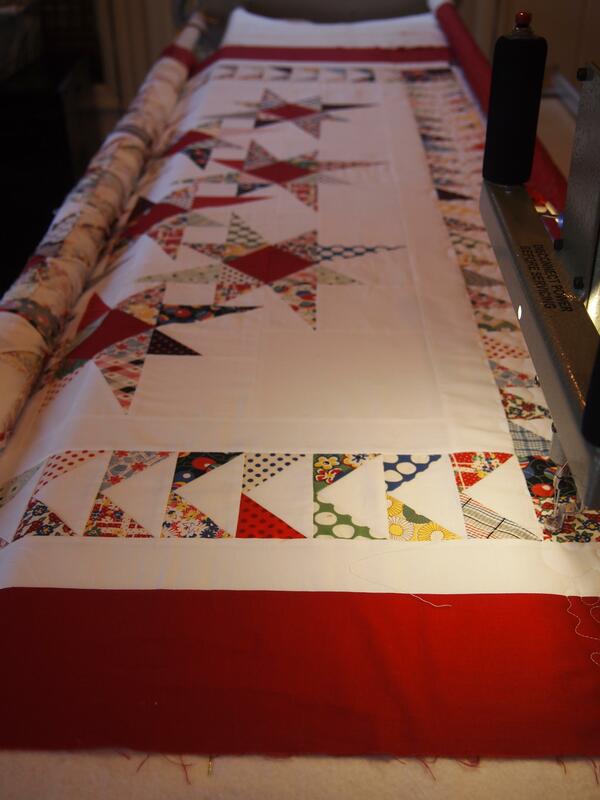 I’m off to trim off the excess batting and sew the binding on. 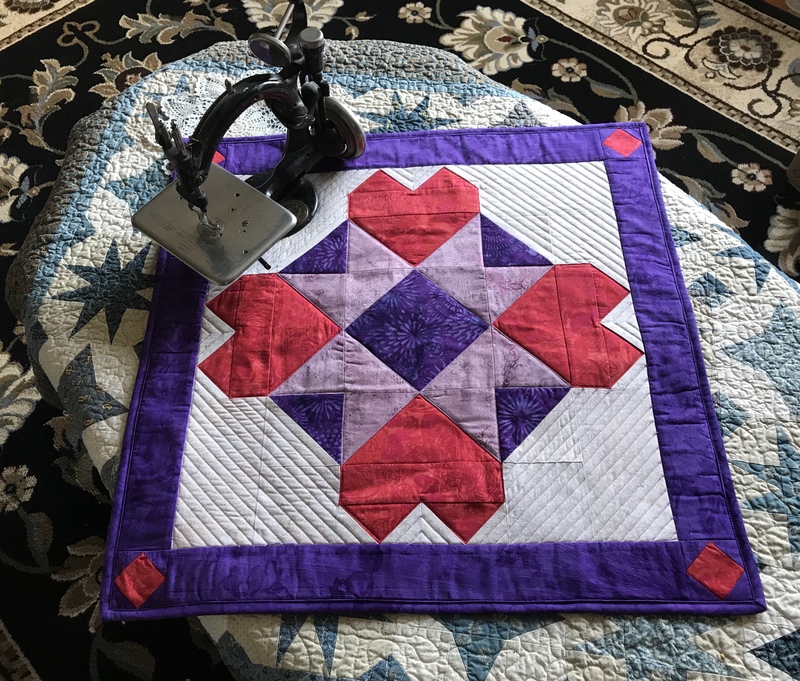 There was so much red in this quilt that when I washed it I put in 10 color catchers (they came out pink, so I’m glad I did). I washed the quilt in cold water and dried it normally. When I pulled it out the dryer, I noticed immediately how soft it was. 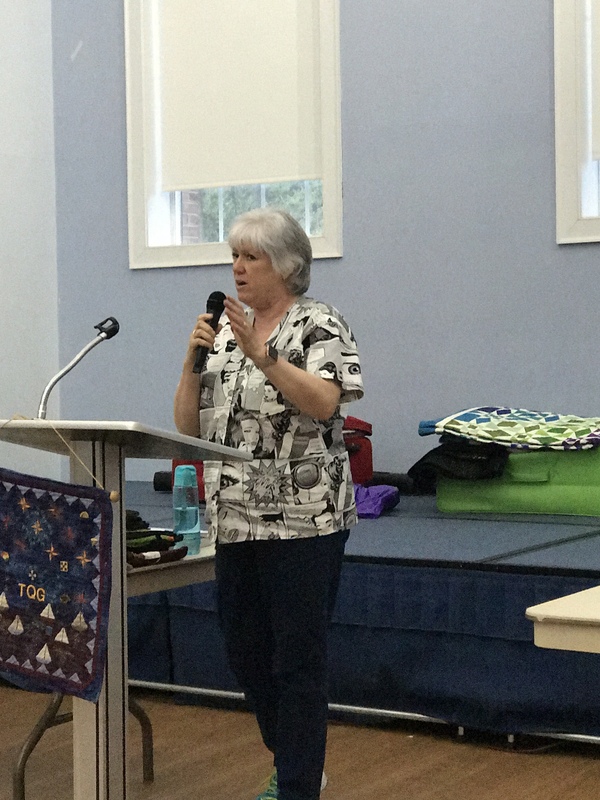 They say quilts quilted with Dream Orient drape beautifully, and they are right! 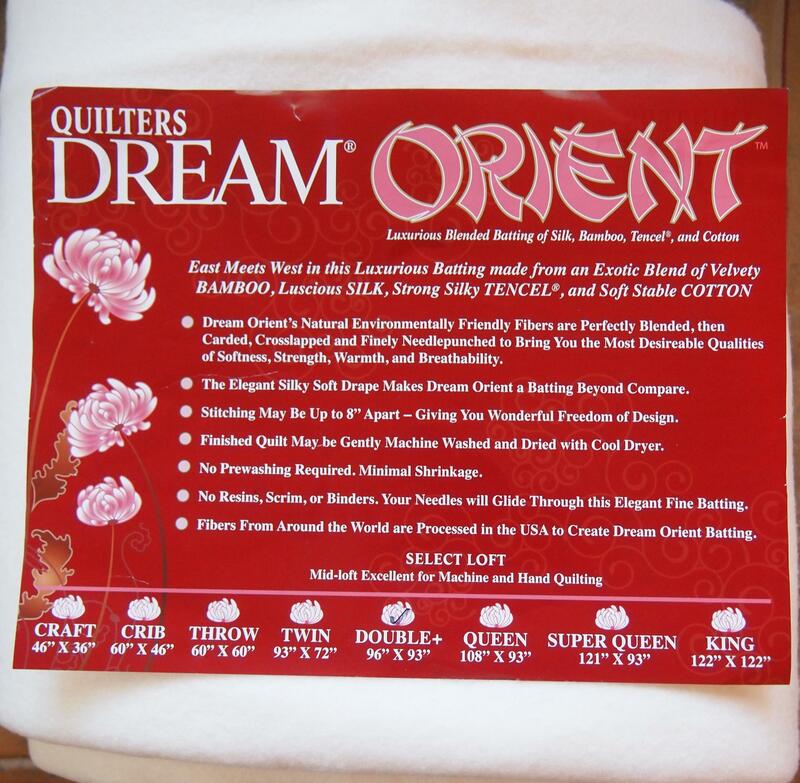 I am definitely using Dream Orient again. 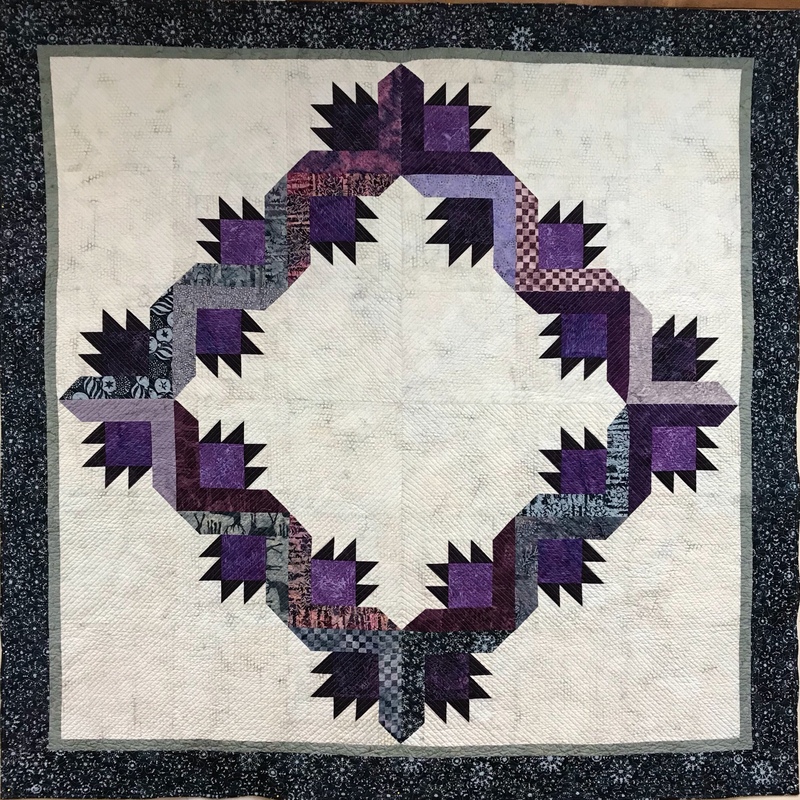 This pattern is by Deb Tucker. We just had a Studio 180 Design Certified Instructor Reunion. Deb gave this to us as a mystery, but she will making the pattern available sometime this summer. 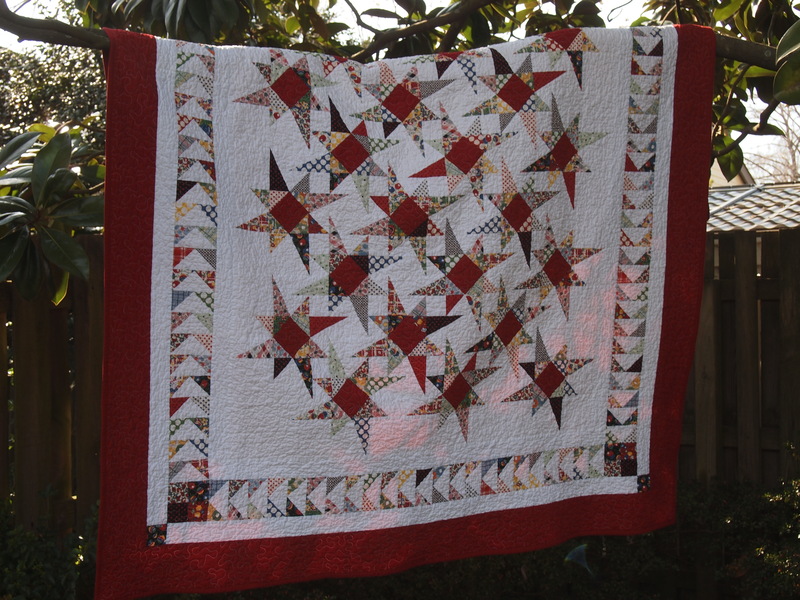 It uses the Split Rects Tool and the Wing Clipper I and the Tucker Trimmer I. I love this quilt. 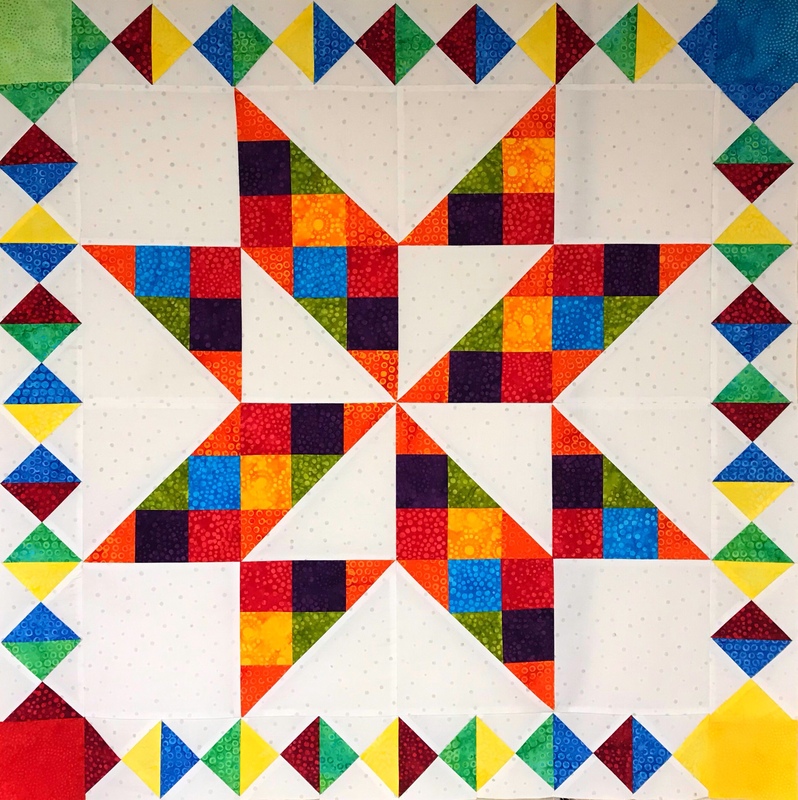 This entry was posted in Quilters Dream Orient and tagged Deb Tucker, Dream Orient, Quilters Dream Batting, quilting, Quilts, Split Rects, Studio 180 Design on April 5, 2014 by ifthesethreadscouldtalk. 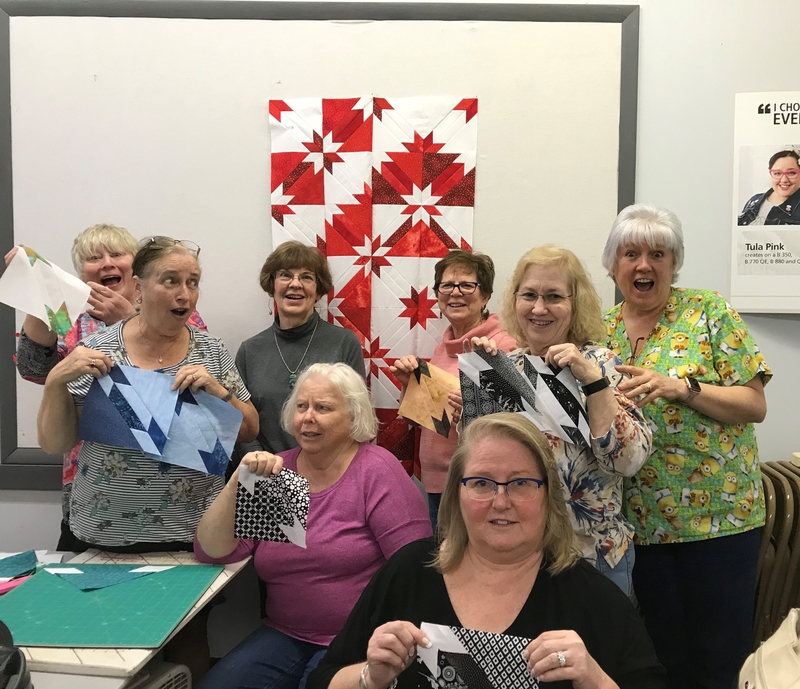 I love Dream Orient and try to use it in all of my big quilts. I am a true convert now! Thanks, you are welcome. I’m going to try the Dream Blend next. 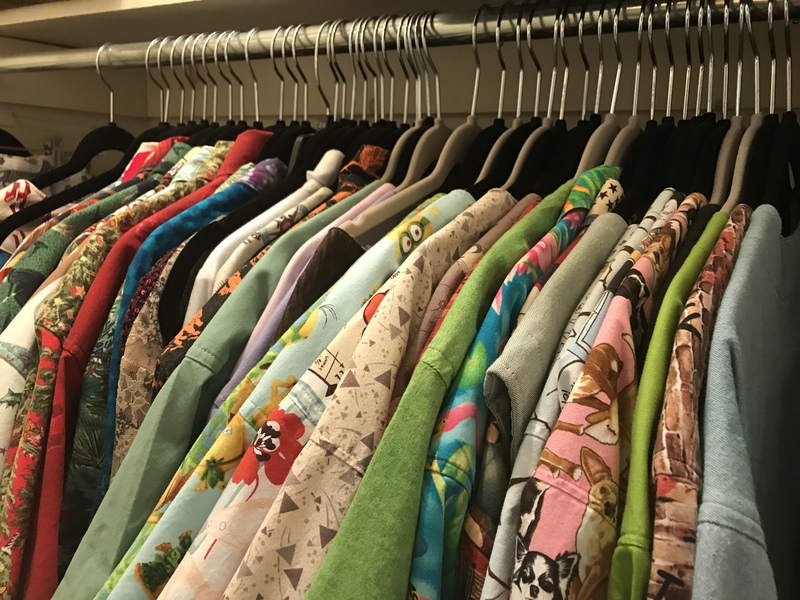 It is 70% cotton and 30% poly. Long armers love it. 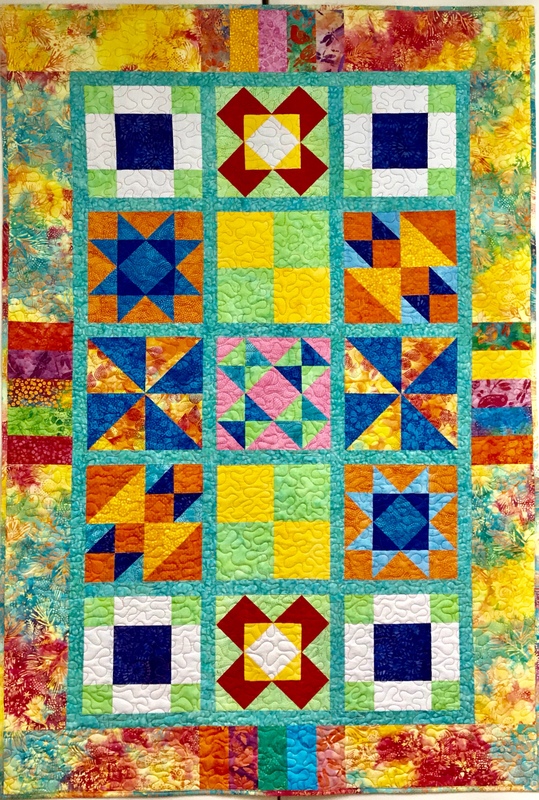 I have quite a few class samples to get finished and plan on trying all the Quilters Dream Batting products. You are welcome. I really did like it and will use it again. I have the same tractor seat but in purple I Love it, makes rolling over my tile floor so much easier (the grout lines). I love mine too, it doesn’t take up too much room and rolls easily. 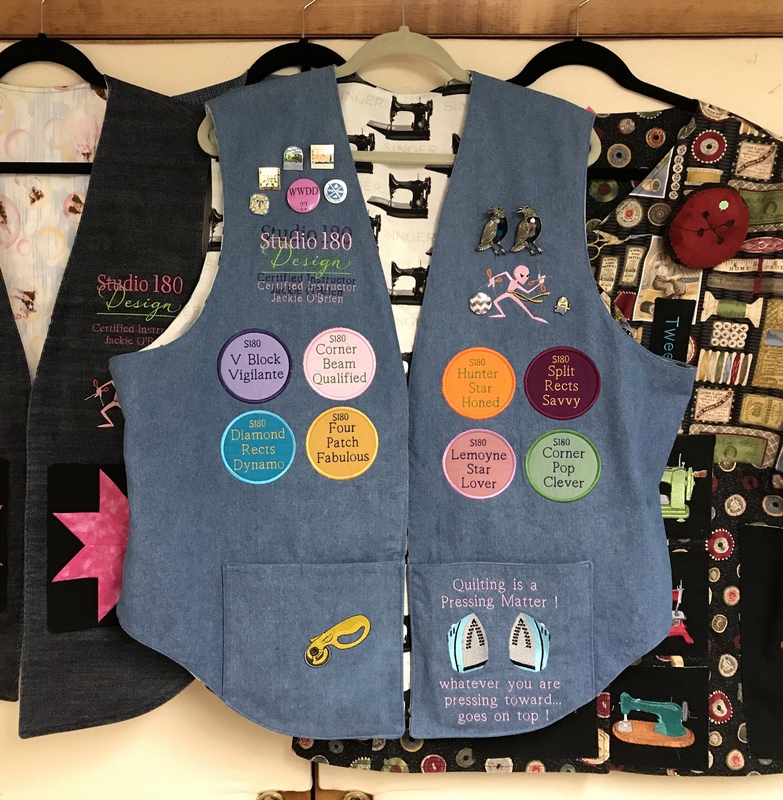 Look forward to each of your posts, especially when they are regarding Deb’s tools and patterns which I absolutely love. You also inspire me. Need to check out that batting. Thank you Jacqueline!